Wow that is really different. Looks cool! What kind of games does it run? Amiga only? That is really cool. Nice and shiny! What is the Outrun thing in the background??? One of the most amazing project i've ever seen! 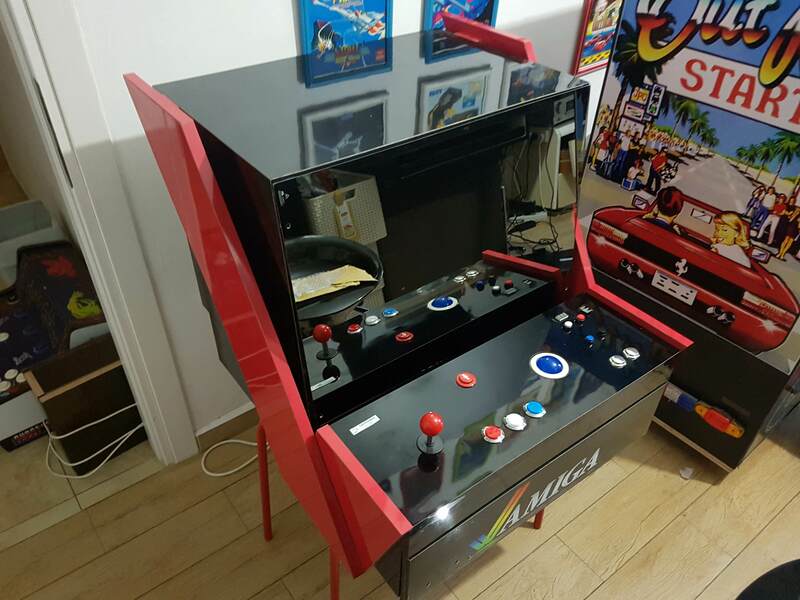 to mod an Amiga into arcade?....amazing! But imho Amiga is not a perfect arcade machine. A lot of the classic Amiga games were designed for one button joysticks. So e.g. jump is performed with diagonal joystick movement instead of a second button. As a kid when I was an Amiga owner in the end of the 80s I didn't care. 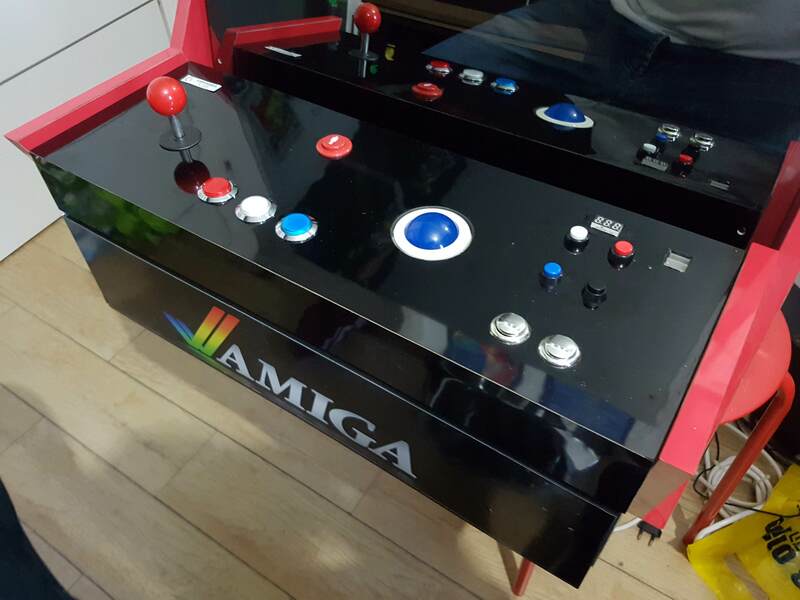 i totally agree with you that Amiga is not a perfect arcade machine. and A lot of the classic Amiga games were designed for one button joysticks! BUT and its big but for me. first of all The Amiga was very important to me in my life. its help me to get a job as animator back in the days. and yes i really fun join to play the games on the amiga. http://jackiabu.blogspot.com/ so why not to dedicate for something that i love? 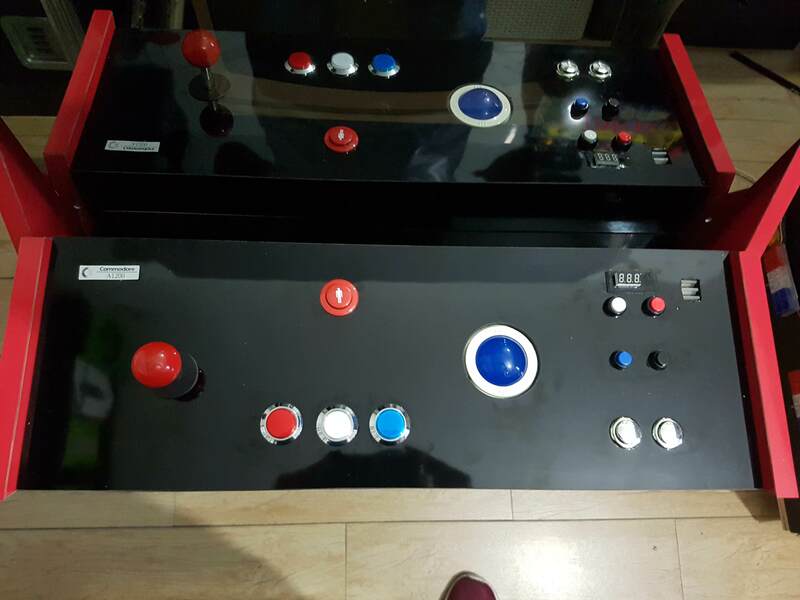 anyway this arcade panel is 3 button! and the monitor is 15khz true scanline RGB. While I don't really like the design, I do appreciate your passion for the Amiga.